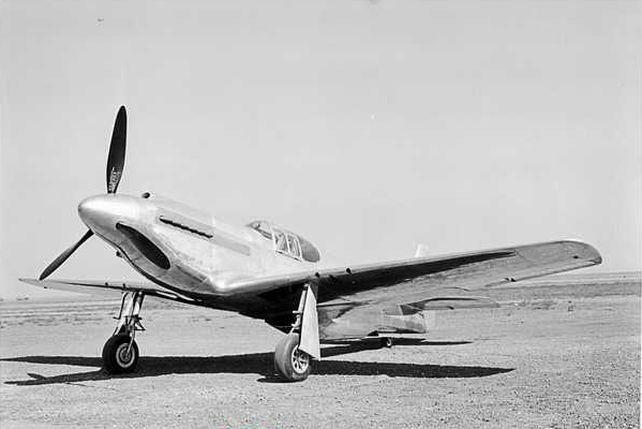 20 November 1940: North American Aviation’s Chief Test Pilot, Paul Baird Balfour, made his first flight in the NA-73X, NX19998, prototype for a Royal Air Force fighter, the Mustang Mk.I. 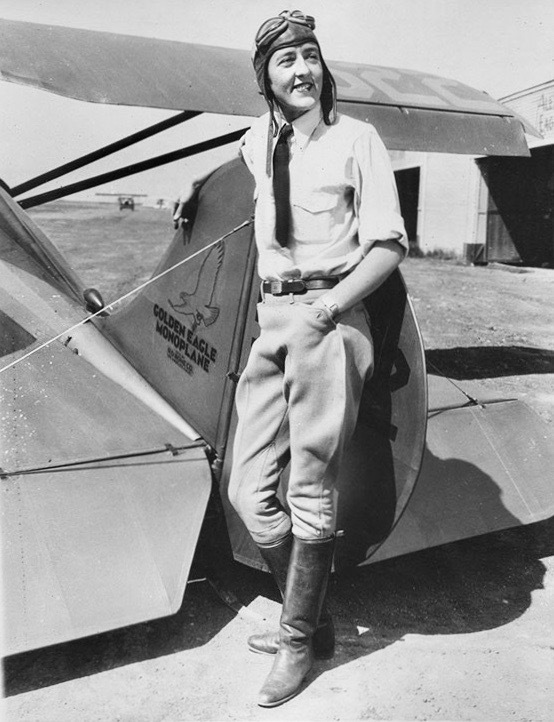 Vance Breese was the free-lance test pilot who made the first seven flights in the new airplane. Breese claimed to have made a bet with North American executives that Balfour would crash the prototype on his first flight. The ground crew started the NA-73X’s 1,150 horsepower Allison V-1710-39 liquid-cooled V-12 engine at 5:40 a.m. and let it warm up to normal operating temperature. When it was restarted just prior to Paul Balfour’s flight, “it was a little hard to start,” according to Olaf Anderson, the airplane’s mechanic. Balfour took off from Mines Field at about 7:10 a.m. After about twelve minutes of flight, the Allison stopped running. Balfour was too far from Mines Field to make it back to the runway. He landed in a plowed field west of Lincoln Boulevard. When the tires hit the soft surface, the prototype flipped over. Balfour was not hurt and was able to crawl out of the upside-down wreck. 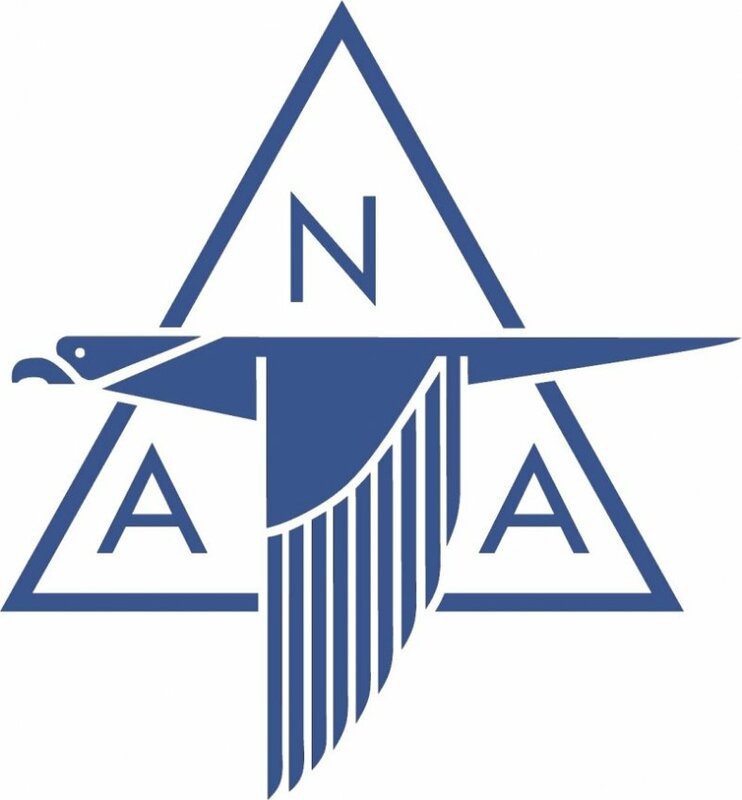 The Civil Aeronautics Board report described the damage as “engine housing broken, both wingtips damaged, tail surfaces damaged, top of fuselage damaged, and other miscellaneous damage.” The NA-73X had accumulated just 3 hours, 20 minutes of flight. Vance Breese won his bet. According to the C.A.B. investigation, the engine had stopped due to fuel starvation when Balfour neglected to select another tank. The prototype was taken back to the factory and rebuilt. It would become the famous Mustang, one of the most significant aircraft of World War II. 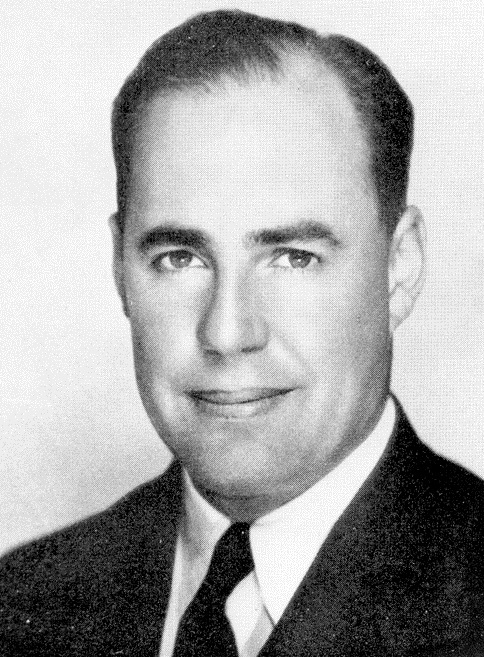 Robert C. Chilton was hired as the new Chief Test Pilot. He would continue testing the Mustang developments throughout the war. Chilton made his first flight in NA-73X on 3 April 1941. 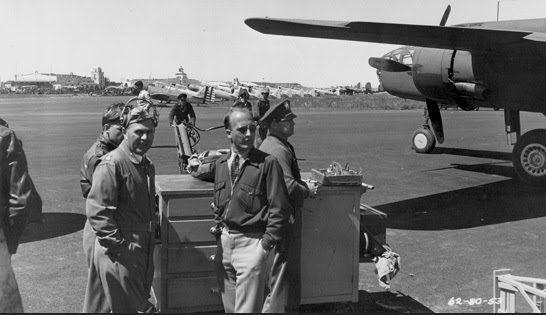 Paul Balfour continued to work for North American Aviation, testing the NA-40 and NA-40B prototypes and the B-25 Mitchell medium bomber. He later served in the United States Air Force. Paul Baird Balfour was born 5 July 1908 in Washington State. He was the son of Fred Patrick Balfour and Edna May Baird Balfour. Balfour attended two years of college. Paul Balfour entered the U.S. Army Air Corps (prior to 1930). He was stationed at Rockwell Field, San Diego, California. Balfour married Martha Lillette Cushman of Coronado, California, at Yuma, Arizona, 6 June 1930. 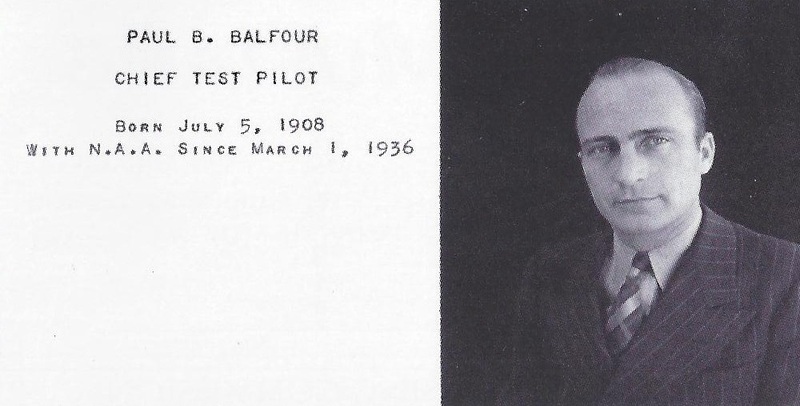 Balfour began working as a test pilot for North American Aviation, Inc., 1 March 1936. On 2 July 1938, he married Lois Tresa Watchman at Kingman, Arizona. They would have two children. On 9 November 1951, Major Paul B. Balfour, U.S. Air Force, attached to the 1002nd Inspector General Group at Norton Air Force Base, California, was flying a North American VB-25J, 44-30955, a transport conversion of a B-25J-30-NC Mitchell medium bomber. Shortly after takeoff, at about 10:00 a.m., the airplane developed engine trouble. 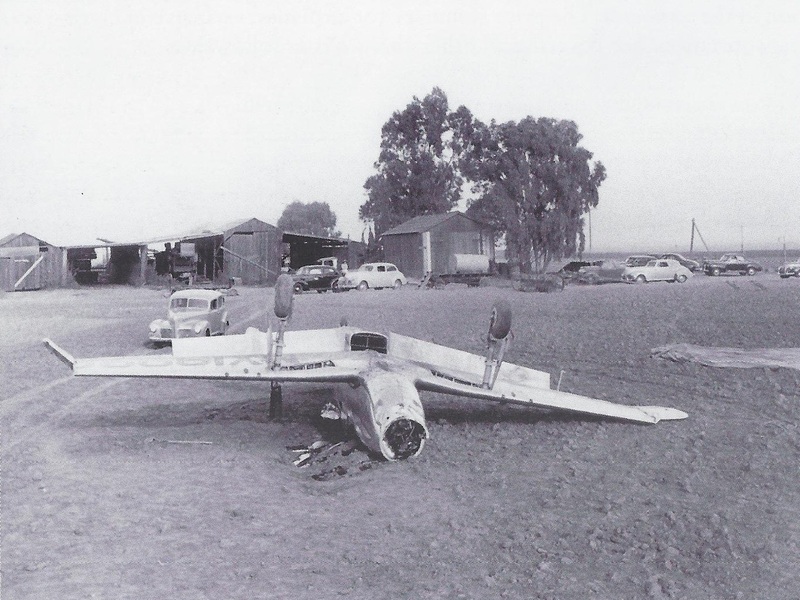 Unable to return to Norton, Balfour attempted a belly landing at a small private airfield. Witness saw that the airplane’s left engine was idling, and its propeller was feathered. As he approached, the airplane was blocked by a windbreak of eucalyptus trees bordering U.S. Route 66. 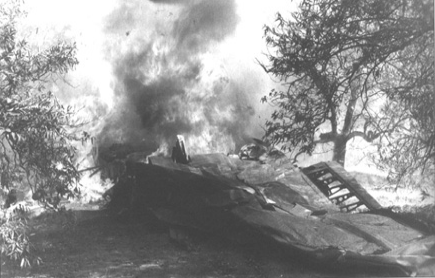 Balfour banked away from the trees but the B-25 crashed in an orange grove along Bloomington Avenue in Rialto, approximately 7 miles (11 kilometers) north of Norton. Balfour, still buckled in his seat, was thrown clear of the burning wreck and landed in the street. One man on board was killed and two others seriously injured. Balfour died in a hospital three hours later. He was 41 years old. Major Balfour was buried at the Inglewood Park Cemetery, Inglewood, California. Burning wing of North American VB-25J 44-30955, near Rialto, California, 9 November 1951. 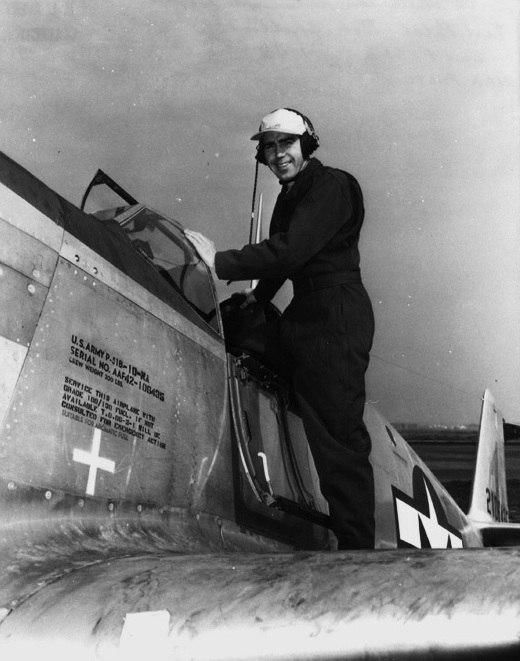 26 October 1944: At approximately 4:00 p.m., Civilian Pilot Gertrude V. Tompkins took off from Mines Field, California (now Los Angeles International Airport, or simply, LAX) in a newly-manufactured North American Aviation P-51D-15-NA Mustang, serial number 44-15669, on a flight to deliver it to New Jersey where it would be prepared for shipment to England. 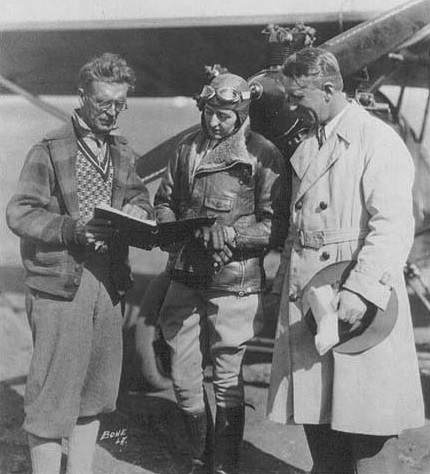 “Tommy” Tompkins was scheduled to make an overnight stop at Palm Springs, California. She never arrived. Due to a series of errors, it was four days before the military recognized that Tompkins was missing. An extensive search was undertaken but was unsuccessful. Gertrude Tompkins (Mrs. Harry M. Silver) was listed as Missing, Presumed Dead. She was one of 38 WASP pilots who died in service during World War II. 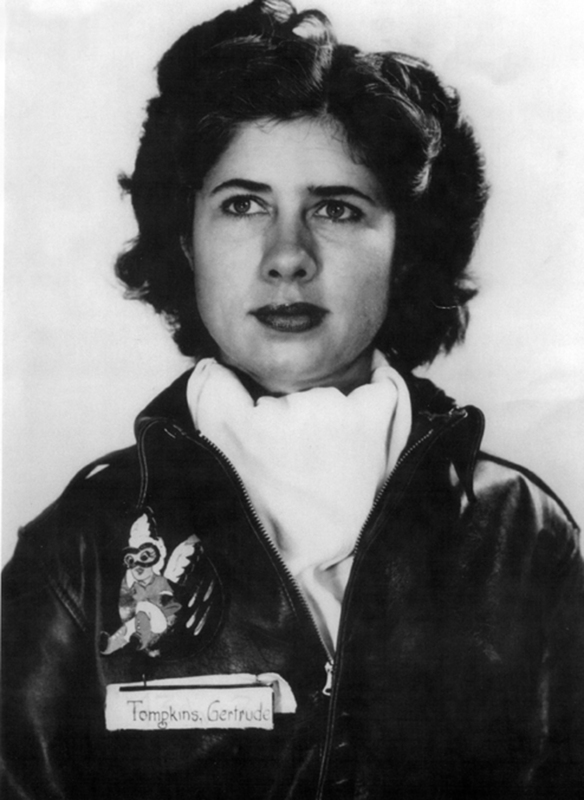 She remains the only Women Airforce Service Pilots member still missing. The WASPs were not combat pilots. They ferried aircraft across oceans, tested newly-manufactured aircraft for acceptance by the military, flew transport missions, and trained military pilots. The WASPs received the same primary, basic and advanced flight training as their U.S. Army Air Force male counterparts. Some went on to specialized training in heavy bombers or fighters. 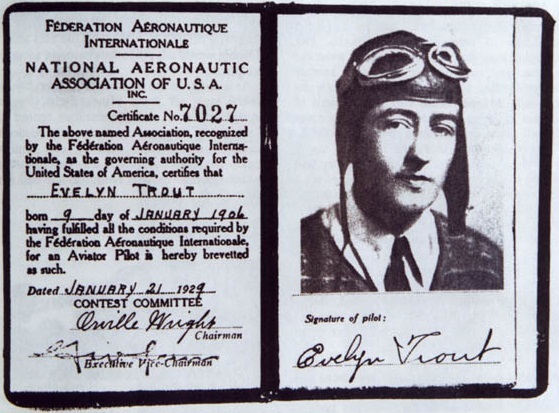 Each woman had a civil pilot’s license and at least 200 hours of flight time. Over 25,000 women applied and approximately 1,900 were accepted. By the end of the war, 1,074 had graduated. All of these women provided a great service to their country during a time of war, but even more so to the generations of women who would follow their path. Gertrude Vreeland Tompkins was born at Jersey City, New Jersey, 16 October 1911. She was the youngest of three daughters of Vreeland Tompkins, founder of Smooth-On, Inc., and Laura Towar Tompkins. Gertude V. Tompkins had joined the Women Airforce Service Pilots (commonly called the “WASPs”) 12 November 1943 and trained at Avenger Field, Sweetwater Texas, as a member of Class 43-W-7. 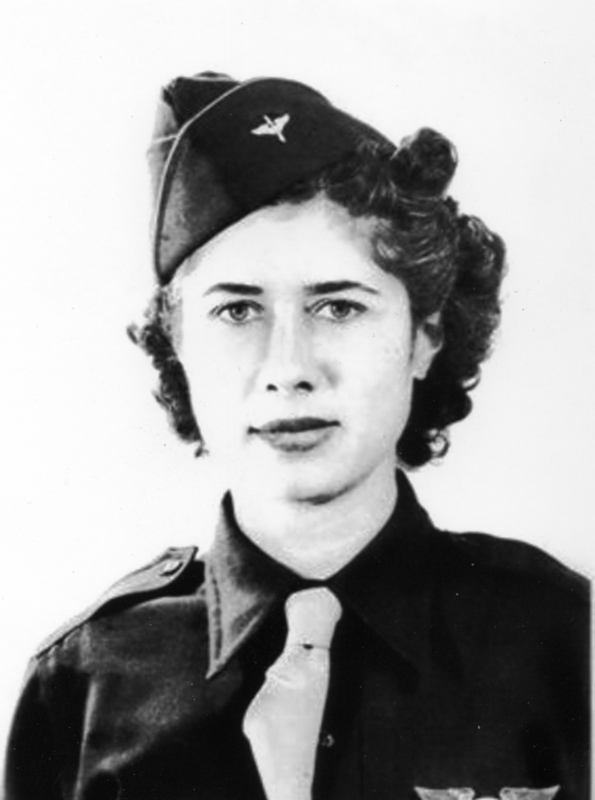 She was assigned to the 601st Squadron, 555th Air Transport Command, as a Civilian Pilot. On 25 September 1944, Miss Tompkins married Technical Sergeant Henry Mann Silver, U.S. Army, at Bridgewater, New York. 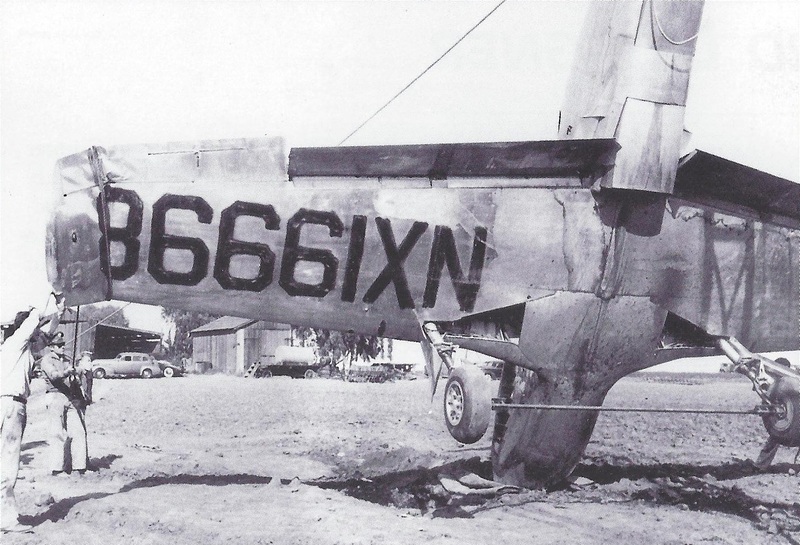 By 26 October 1944, she had flown a total of 753.40 hours. 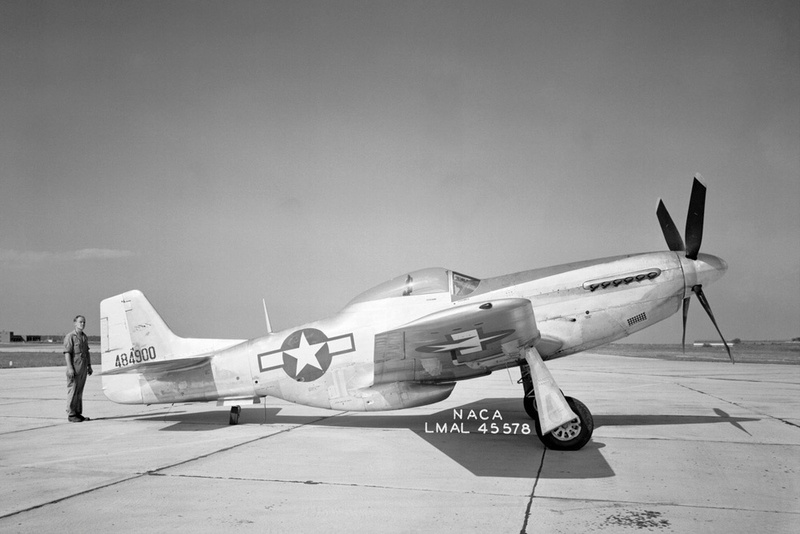 North American Aviation P-51D-15-NA Mustang 44-15669 had been flown just 3.0 hours since leaving the assembly line at Inglewood, California. The P-51D was the predominant version of the North American Aviation World War II fighter. It was a single-seat, single-engine fighter, initially designed for the Royal Air Force. 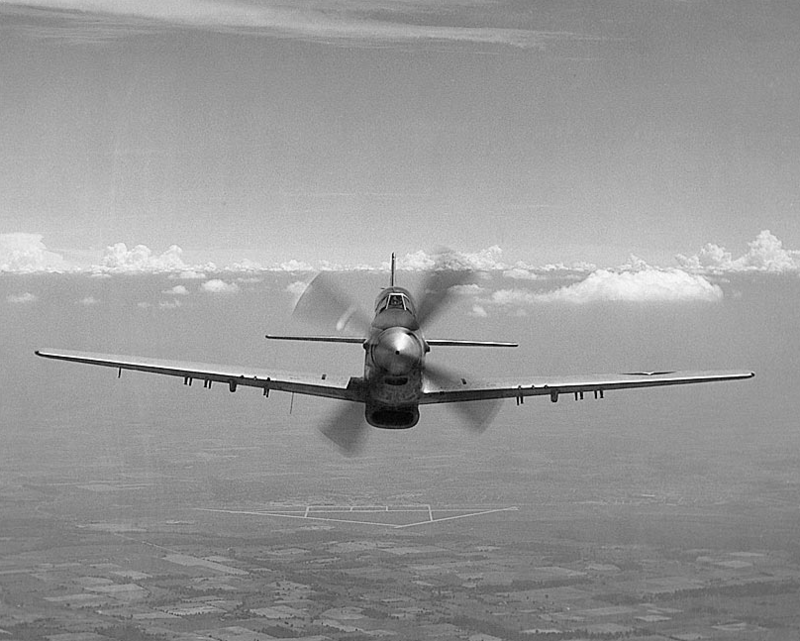 The P-51D was 32 feet, 3.5 inches (9.843 meters) long, with a wingspan of 37 feet (11.278 meters). It was 13 feet, 4.5 inches (4.077 meters) high. The fighter had an empty weight of 7,635 pounds (3,463 kilograms) and a maximum takeoff weight of 12,100 pounds (5,489 kilograms). 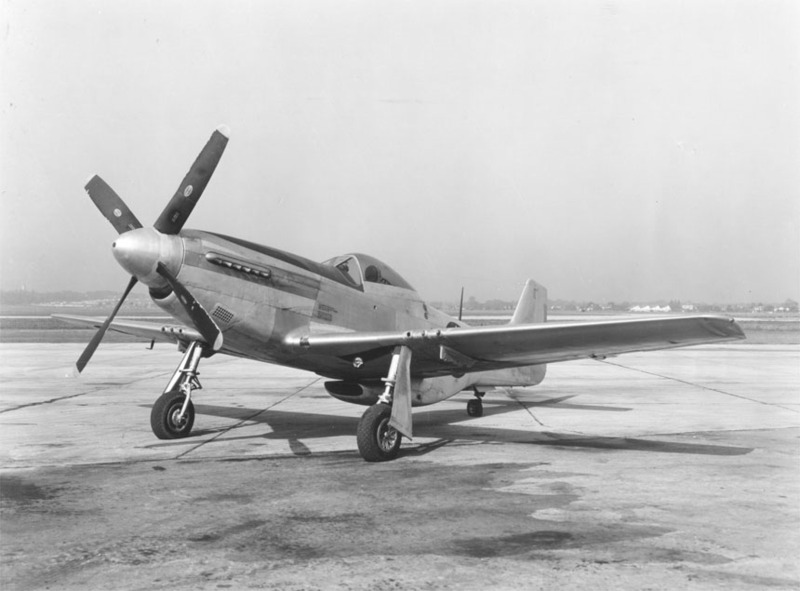 The P-51D was powered by a right-hand tractor, liquid-cooled, supercharged, 1,649-cubic-inch-displacement (27.04-liter) Packard V-1650-3 or -7 Merlin single overhead cam (SOHC) 60° V-12 engine with Military Power ratings of 1,380 horsepower at Sea Level, turning 3,000 r.p.m with 60 inches of manifold pressure (V-1650-3), or 1,490 horsepower at Sea Level, turning 3,000 r.p.m. with 61 inches of manifold pressure (V-1650-7). These engines were versions of the Rolls-Royce Merlin 63 and 66, built under license by the Packard Motor Car Company of Detroit, Michigan. The engine drove a four-bladed Hamilton Standard Hydromatic constant-speed propeller with a diameter of 11 feet, 2 inches (3.404 meters) through a 0.479:1 gear reduction. 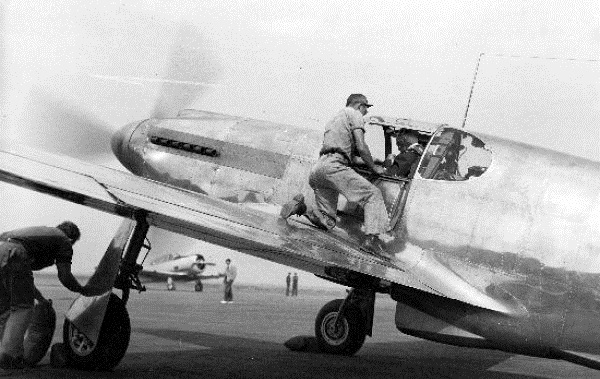 The P-51D was armed with six electrically-heated Browning AN-M2 .50-caliber machine guns, with three mounted in each wing. 400 rounds of ammunition were provided for the inner pair of guns, and 270 rounds for each of the other four guns, for a total of 1,880 rounds of ammunition. This was armor piercing, incendiary and tracer ammunition. The fighter could also carry a 1,000 pound (453.6 kilogram) bomb under each wing in place of drop tanks, or up to ten rockets. 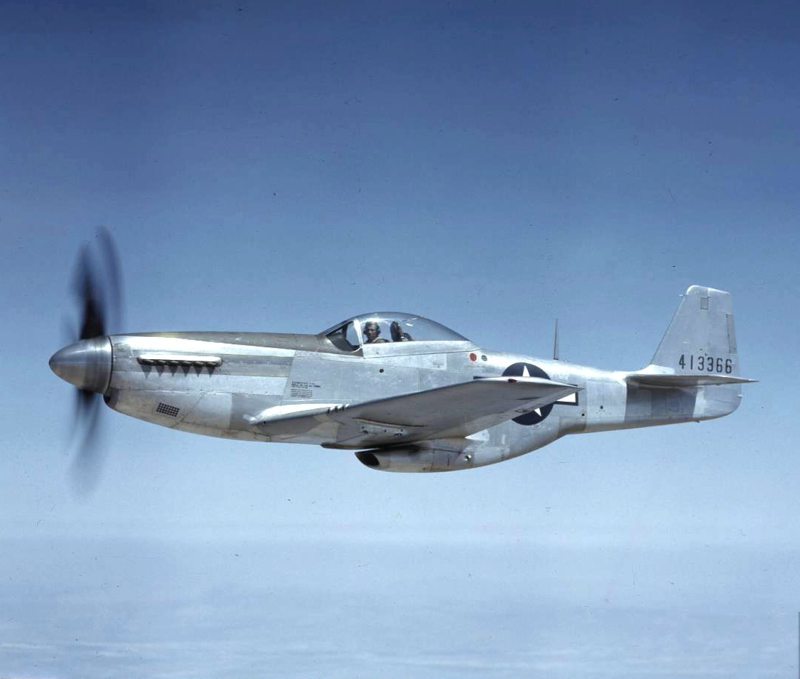 A total of 8,156 P-51Ds were produced by North American at Inglewood, California, and Dallas, Texas, and another 200 by the Commonwealth Aircraft Corporation, Melbourne, Australia. The North American Aviation P-51D Mustang remained in service with the United States Air Force until 27 January 1957, when the last aircraft were retired from the 167th Fighter Squadron, West Virginia National Guard. 26 October 1940: At Mines Field, Los Angeles, California (now, Los Angeles International Airport), free lance test pilot Vance Breese took the prototype North American Aviation NA-73X, civil registration NX19998, on a five-minute first flight. 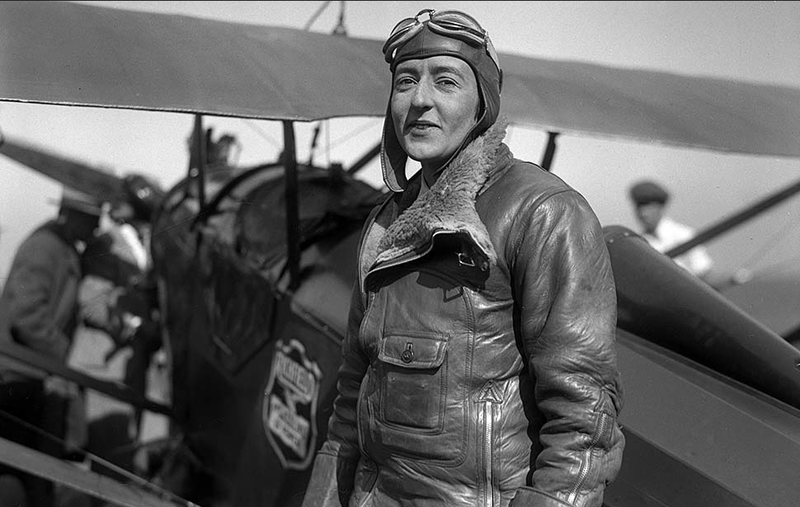 Later in the day, Breese flew the NA-73X another ten minutes. He would make six more test flights between 26 October and 13 November, totaling approximately 3 hours, 30 minutes of flight time. With Great Britain at war with Nazi Germany, the Royal Air Force was the primary defender of the island nation. Airplane manufacturers were turning out Hawker Hurricanes and Supermarine Spitfires as rapidly as possible, but they were barely keeping up with combat losses. England needed more fighters. They had taken over an order for Curtiss-Wright Hawk 81-A1 fighters which had been built for France, but which had not been shipped by the time France surrendered. The RAF called these fighters the Tomahawk Mark I (P-40 Warhawk in U.S. service). The British Purchasing Commission asked North American Aviation in Los Angeles, California, to build additional Tomahawks under license from Curtiss-Wright. North American countered with a proposal to design a completely new and superior fighter around the P-40’s Allison V-12 engine, and begin production in no more time than it would take to get a P-40 production line up and running. The Purchasing Commission agreed, and with a letter of understanding, North American began work on the NA-73X on 1 May 1940. They were to produce 320 fighters before 30 September 1941, approximately 50 per month, at a total price of $14,746,964.35. 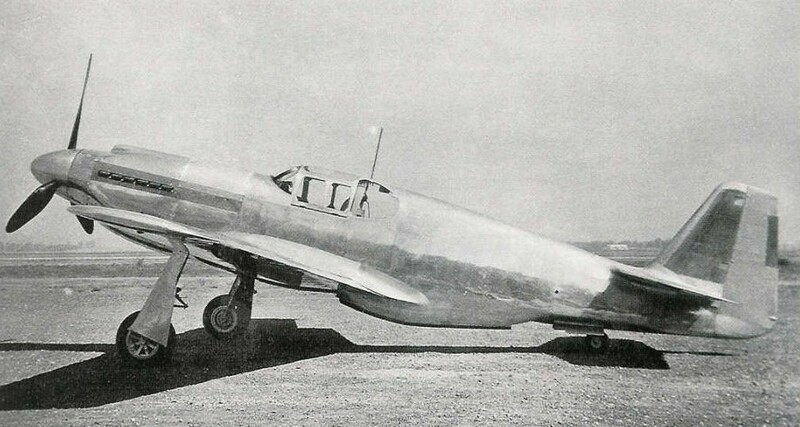 The prototype NA-73X, North American serial number 73-3097, was a single-seat, single-engine, low wing monoplane with retractable landing gear. It was primarily of metal construction, though the flight control surfaces were fabric covered. The airplane was designed for the maximum reduction in aerodynamic drag. The fuselage panels were precisely designed and very smooth. Flush riveting was used. The Mustang was the first airplane to use a laminar-flow wing. The coolant radiator with its intake and exhaust ducts was located behind and below the cockpit. As cooling air passed through the radiator, it was heated and expanded, so that as it exited, it actually produced some thrust. 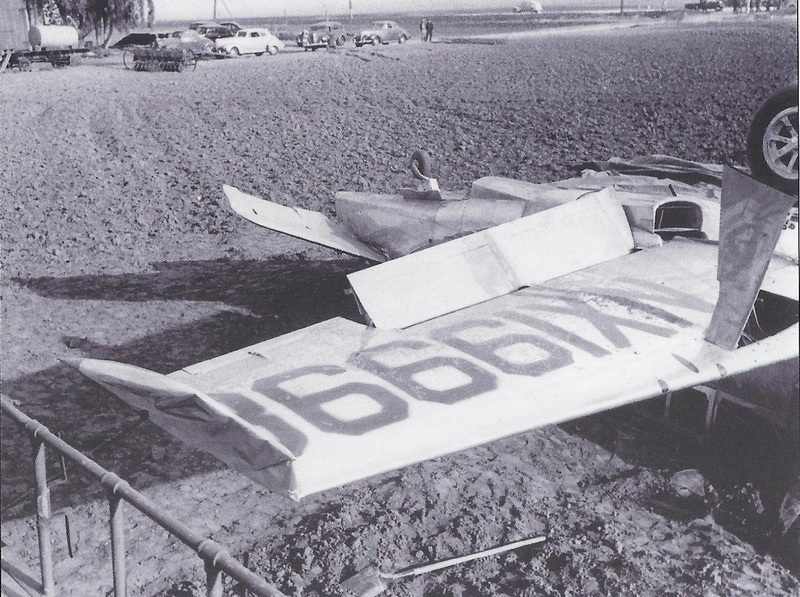 The prototype was 32 feet, 2–5/8 inches (9.820 meters) long, with a wing span of 37 feet, 5/16 inch (11.286 meters). Empty weight of the NA-73X was 6,278 pounds (2,848 kilograms) and normal takeoff weight was 7,965 pounds (3,613 kilograms). The NA-73X was powered by a liquid-cooled, supercharged, 1,710.60-cubic-inch-displacement (28.032 liter) Allison Engineering Company V-1710-F3R (V-1710-39) single overhead cam 60° V-12 engine, with a compression ratio of 6.65:1 and a single-stage, single-speed supercharger. This was a right-hand tractor engine (the V-1710 was built in both right-hand and left-hand configurations) which drove a 10 foot, 6 inch (3.200 meter) diameter, three-bladed, Curtiss Electric constant-speed propeller through a 2.00:1 gear reduction. The V-1710-39 had a Normal Power rating of 880 horsepower at 2,600 r.p.m. at Sea Level; Take Off Power rating of 1,150 horsepower at 3,000 r.p.m. at Sea Level, with 44.5 inches of manifold pressure (1.51 Bar), 5 minute limit; and a War Emergency Power rating of 1,490 horsepower at 3,000 r.p.m., with 56 inches of manifold pressure (1.90 Bar). The V-1710-F3R was 3 feet, ¾ inches (0.934 meters) high, 2 feet, 5-9/32 inches (0.744 meters) wide and 7 feet, 1-5/8 inches (2.175 meters) long. It had a dry weight of 1,310 pounds (594 kilograms). The NA-73X had a maximum speed of 382 miles per hour (615 kilometers per hour) at 13,700 feet (4,176 meters). The service ceiling was 32,000 feet (9,754 meters). The fuel capacity was 180 gallons (681.37 liters), giving the airplane a range of 750 miles (1,207 kilometers). 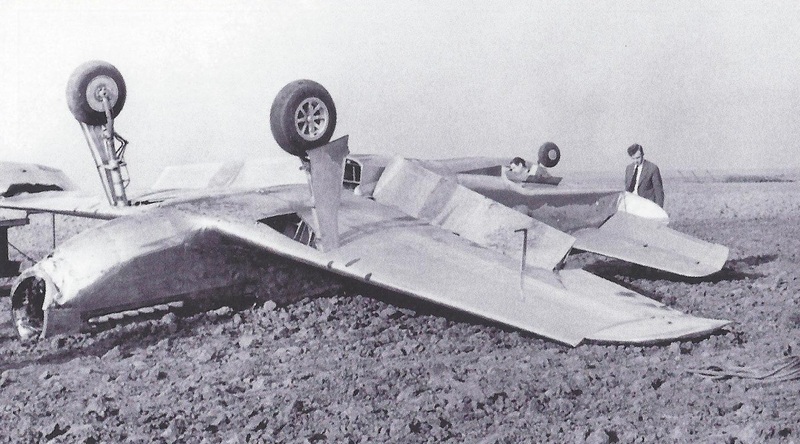 NX19998 was substantially damaged on 20 November 1940 when North American’s Chief Test Pilot, Paul B. Balfour, unable to make it back to Mines Field after the Allison engine failed, made a forced landing in a plowed field just west of Lincoln Boulevard. The prototype flipped over and landed upside down. Sources differ as to the cause of the engine failure, with some citing carburetor icing and others suggesting that Balfour failed to switch fuel tanks and the engine stopped running due to fuel starvation. Balfour was replaced by Robert C. Chilton and NA-73X was rebuilt. There was only one NA-73X prototype. Its status is not known. Chilton recalled, “. . . NA-73X was just pushed aside after it had been retired from its last flight. It probably ended up on the company’s junk pile, but I do not recall seeing it there.” The prototype may have been given to a local industrial trade school. Vance Breese was born 20 April 1904 at Keystone, Washington, He was the first of five children of Lee Humbert Breese, a machinist, and Anna E. Dixon Breese. 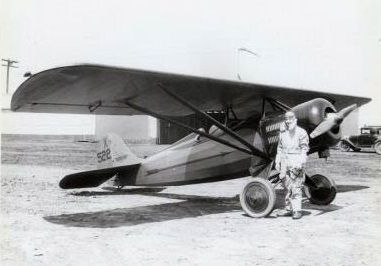 Breese founded the Breese Aircraft Company in 1926, based at San Francisco, California, and then, as the Breese-Wilde Corporation, moved to Oregon. 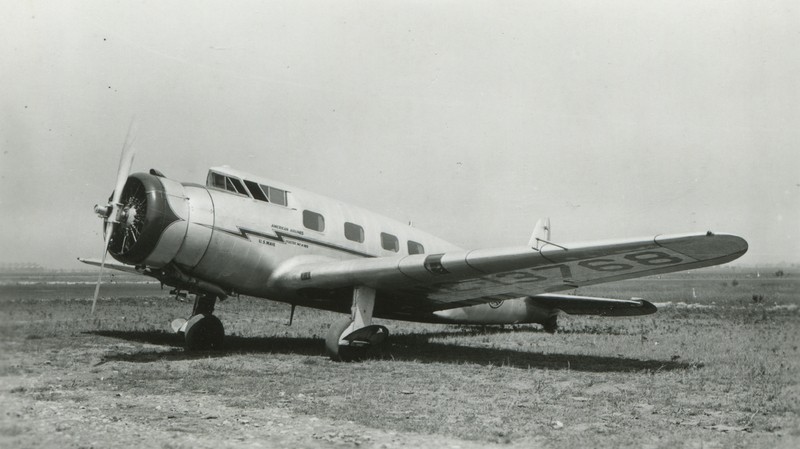 The company produced the Breese-Wilde Model 5, a single-engine light airplane. Two of these, Aloha and Pabco Flyer, flew in the notorious 1927 Dole Air Race from Oakland, California, to Honolulu, Hawaii. Pabco Flyer crashed on takeoff when its landing gear collapsed. Aloha finished in second place. Breese formed a partnership with Gerard Vultee in 1932, with the Airplane Development Corporation at Detroit Michigan. They produced the Vultee V-1A, an 8 passenger light transport. He was also involved in an express mail company, Air Express Corporation. American Airlines Vultee 1A NC13768, designed by Gerard Vultee and Vance Breese. Vance Breese was well known as a test pilot, making a number of first flights and conducting flight tests for various airplane manufacturers. 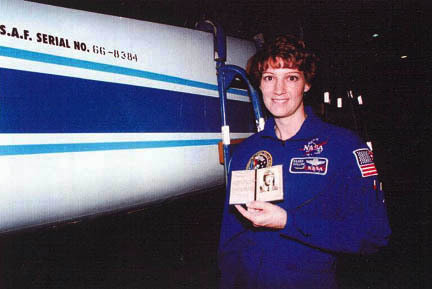 As a test pilot, Breese pioneered the use of recording equipment during flight testing. He used a Dictaphone to record his notes, and a cine camera to film the instruments during the flight. Breese was married three times. He first married Miss Kathryn (“Kitty”) M. McConnell in 1922. They divorced. Later, Breese married Eleanor Louise Buckles at Los Angeles, California, 18 November 1946. They had a son, Vance Breese, Jr., who became a well-known motorcycle racer and land speed record holder. They divorced in 1967. Breese then married Mireille E. Demartelley (AKA Mireille E. Hunt), 13 July 1967, at Santa Barbara, California. He died at Santa Monica, California, 26 June 1973, at the age of 69 years. He is an Honorary Fellow of the Society of Experimental Test Pilots.